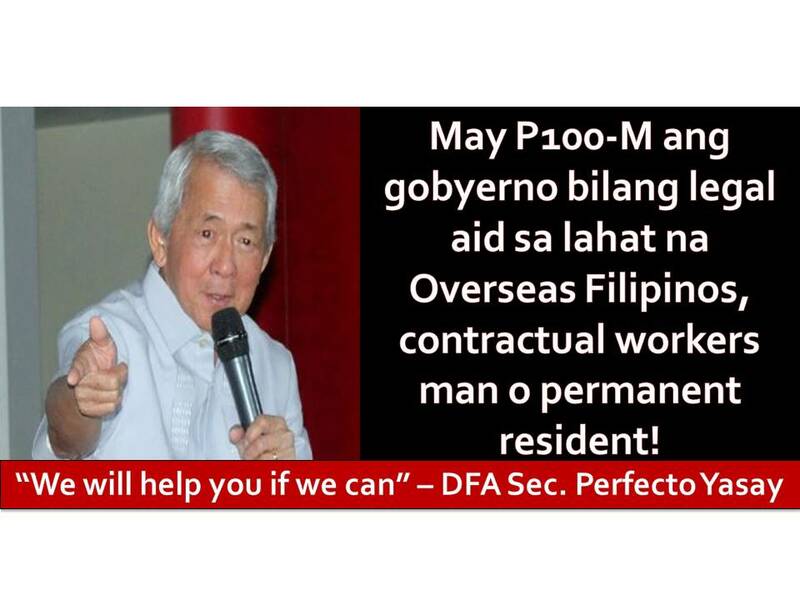 The Department of Foreign Affairs (DFA) has P100 million pesos as legal assistance fund (LAF) for all Overseas Filipinos (OFs). 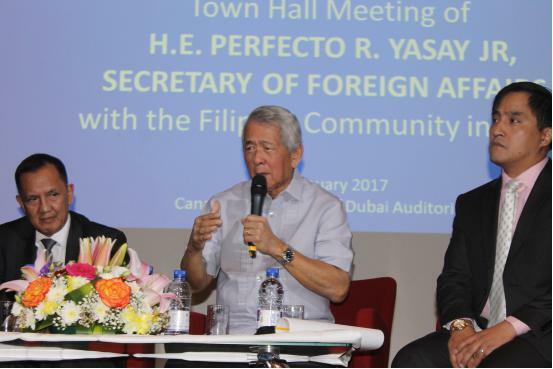 This was confirmed by DFA Secretary Perfecto Yasay Jr. during his visit to Dubai last January 23 when he spoke to the Filipino community gathered at the Canadian University on Monday. Yasay said all OFs who are in dire need of LAF will be entitled to the said fund, whether they are contractual workers or permanent residents. They may get the assistance from the nearest Philippine diplomatic mission. However, Yasay explained that the government could no longer do anything once an OFs are convicted of crimes. He said this is according to an International Law “doctrine” which states that a government has no right to question the judicial verdict of a host country. WARNING UAE EXPATS! DON'T TAKE OR POST PHOTOS WITHOUT PERMISSION! THIS OFW IN DUBAI PROCESSED THE RENEWAL OF HIS PASSPORT FOR ONLY 30 MINUTES! Yasay also reminded OFs to comply with the laws of the host country, as they are expected back home. “Do not hesitate to ask for help. We will help you if we can,” said Yasay. He added that President Rodrigo Duterte does not want to “inconvenience” OFs. It was reported earlier that Duterte may visit the United Arab Emirates next month, although Yasay did not mention the specific time or place of the president's visit.